School Library Journal calls this moving tale by Myron Uhlberg a "remarkable homage to New Orleans." 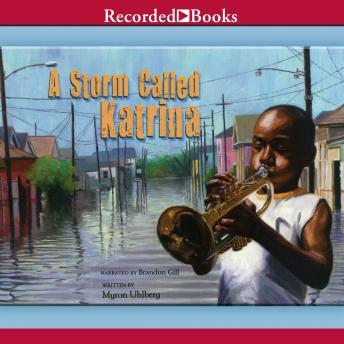 A Storm Called Katrina follows Louis Daniel, a 10-year-old boy from New Orleans' Ninth Ward who loves to play the horn just like his idol, Louis Armstrong. The morning after the devastating hurricane rips through his neighborhood, Louis-with his beloved cornet in tow-must brave the rising flood waters and seek shelter with his family at the Superdome.